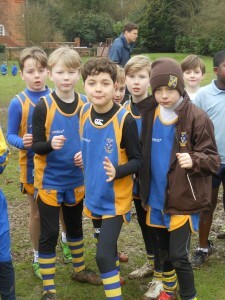 Pupils participate in Cross Country when they reach the Junior classes. 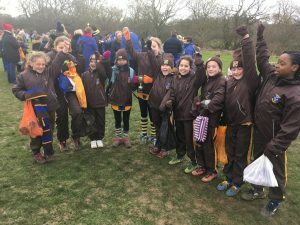 On Saturday 30th March, Miss Allen –Head of Girls PE escorted two year 4 (Upper 1) children to the ISA Cross Country Nationals held at Rugby School to represent East Anglia. 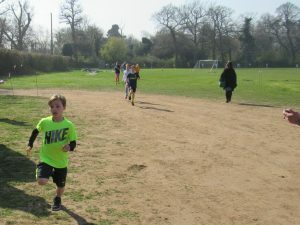 Each child was running against approximately 70 children in their respective race. 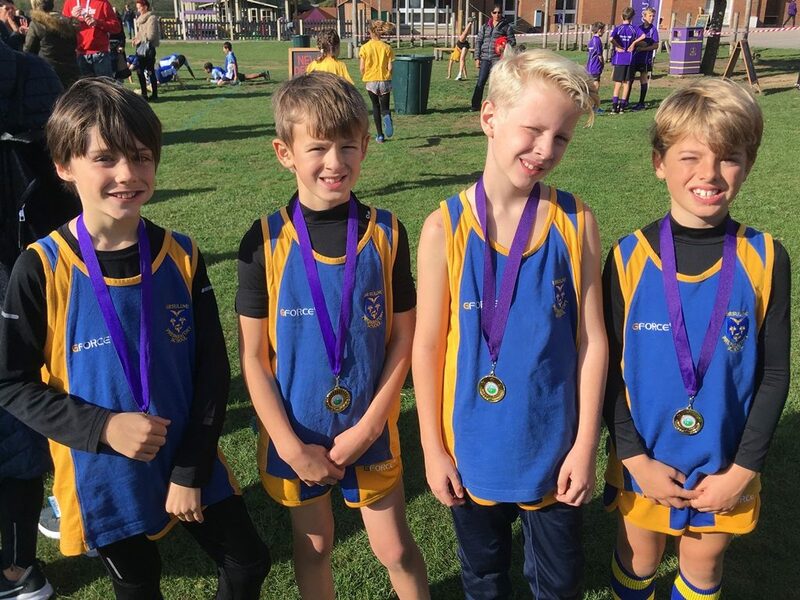 Miss Allen said that they both ran the 1500m course extremely well; the race was very competitive and was run at a very quick pace. 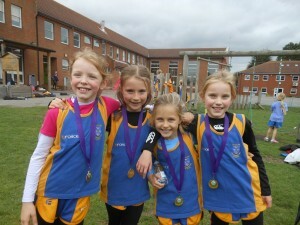 Miss Allen was thrilled with the results, 2nd and 4th place. 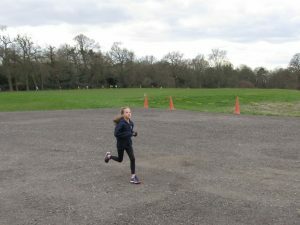 This was a very hard race and both children ran extremely well and really pushed themselves to achieve these fantastic places. 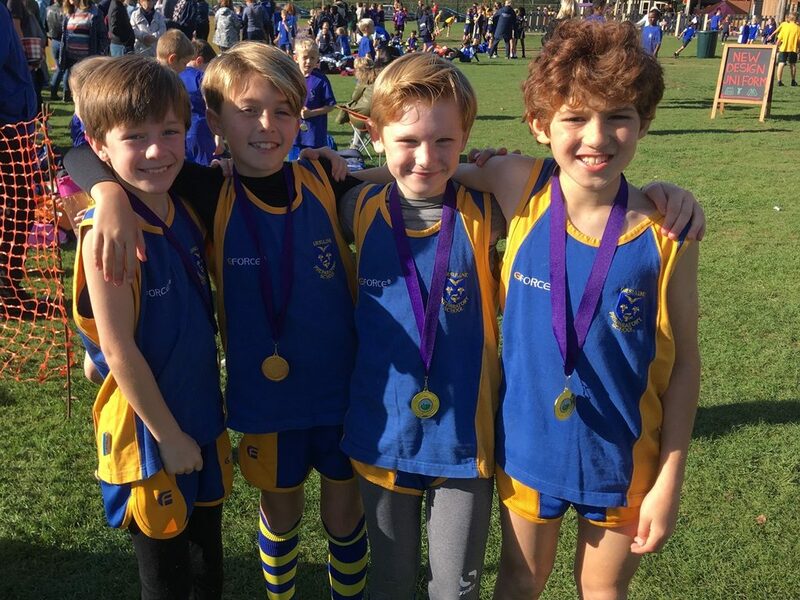 Congratulations to our two cross country stars! 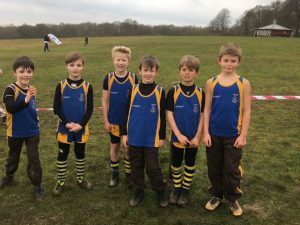 Children from our Junior classes travelled to Finborough School in Suffolk on Friday 18th January for the ISA East Anglia annual cross country event. 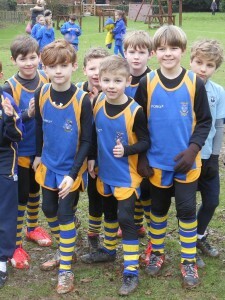 Despite the very early start to the day and the falling temperatures the children all ran extremely well. 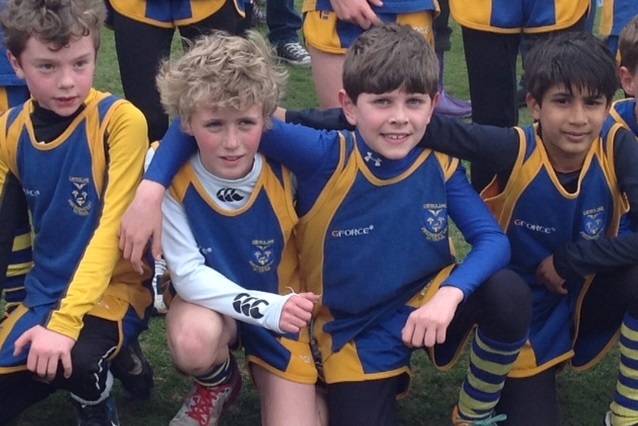 A special congratulations to the two pupils who both won their respective races and will go forward to represent East Anglia in the ISA National competition in Rugby later this year. 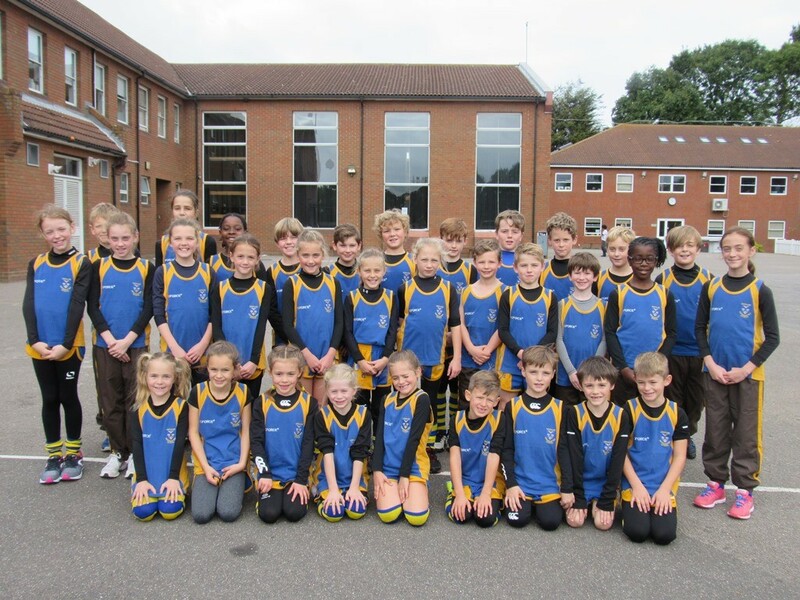 On Thursday, 18th October, the cross country team travelled to Thorpe Hall School for a Relay event. 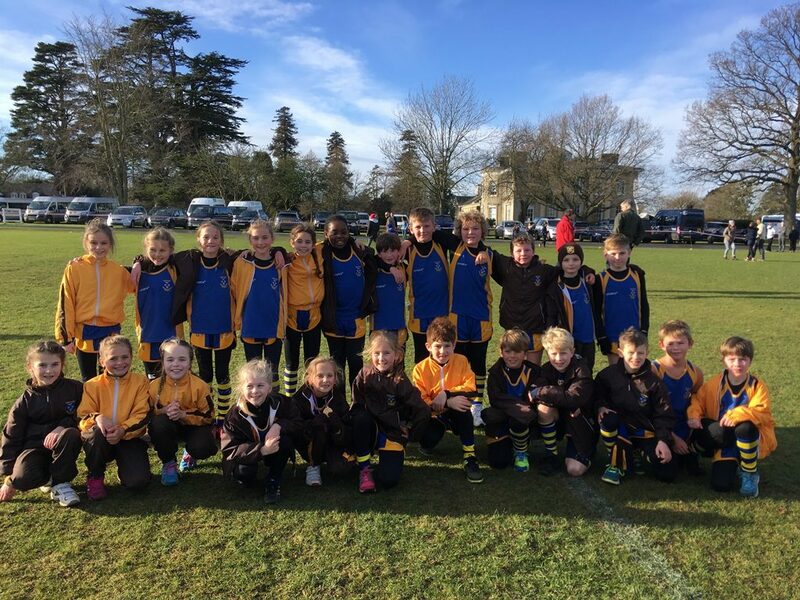 The school entered a boys and girls’ team for Year 3, 4, 5 and 6 in what turned out to be a very tough competition. 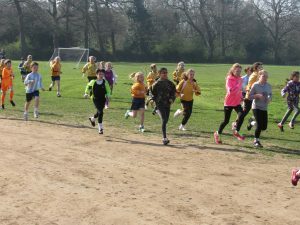 The children all ran very well and had a great time, with our year 4 girls winning the trophy and retaining their title. 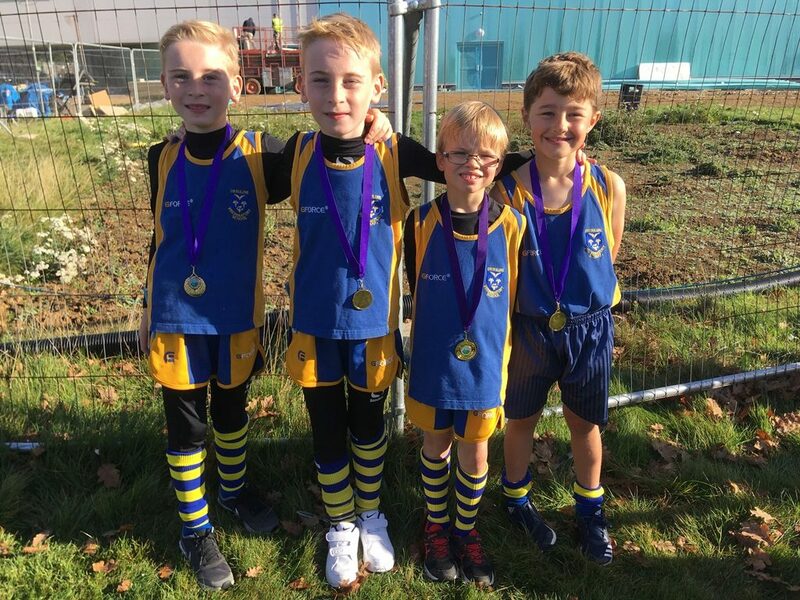 Following their success in the district competition on Friday 20th April, Mr. Lewis accompanied 3 pupils to Hadleigh to take part in the Essex Primary Schools' Individual Cross Country Finals. 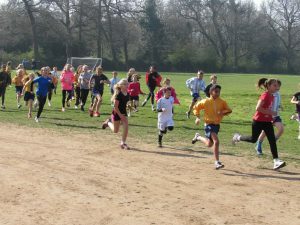 130 girls and 130 boys took part in their respective races. 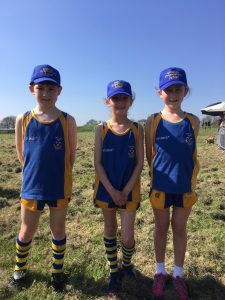 All three ran very well despite the unseasonable hot weather conditions. 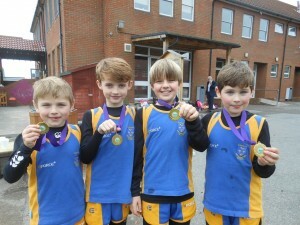 They achieved 14th, 17th and 57th places. 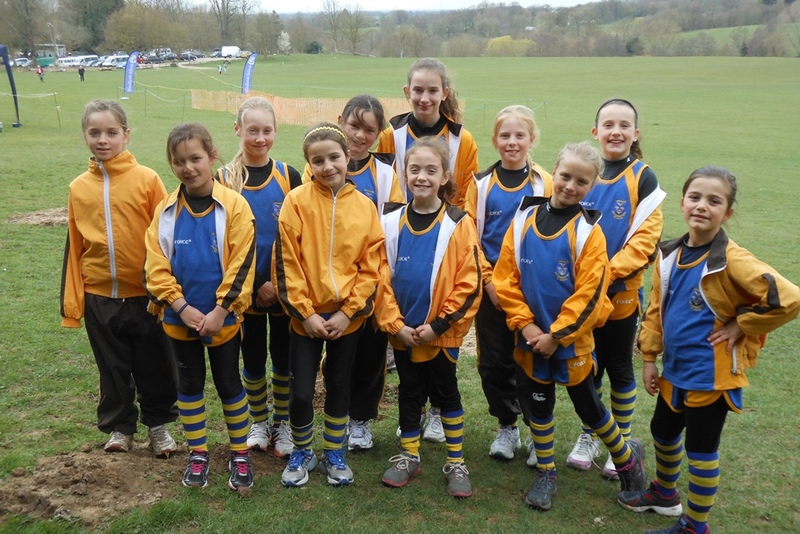 On Monday the 26th March this annual event took place in very muddy conditions. 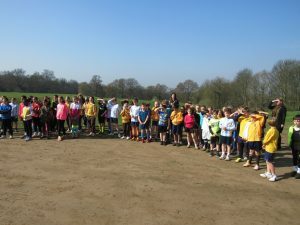 The juniors were joined by members of staff as they all competed for their houses. 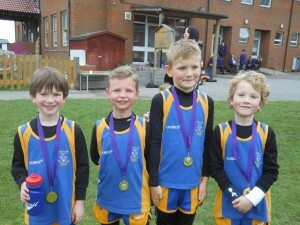 Final result was, St. Partrick 1st, St. George 2nd, St. David 3rd and St. Andrew 4th. 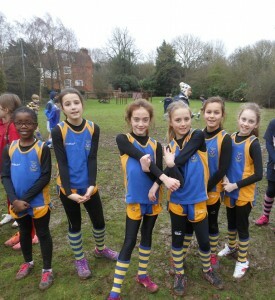 On Tuesday 13th March, we took four teams to Thorndon Park South for the Shenfield cross country competition. 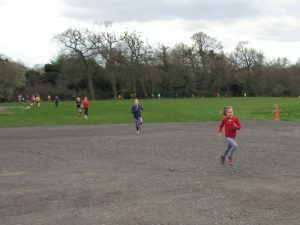 All the children ran extremely well. 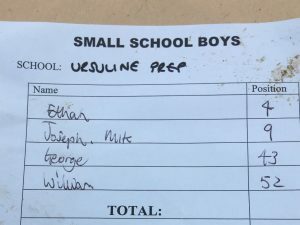 The final team results were. 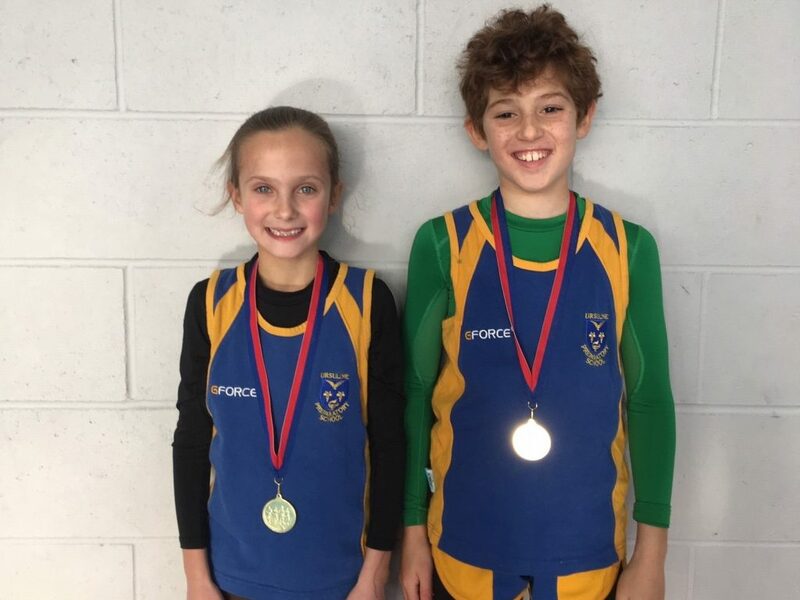 A special mention to Rosie Q. who came 1st and Joseph M. who finished 2nd, who will now compete in the county finals in April. 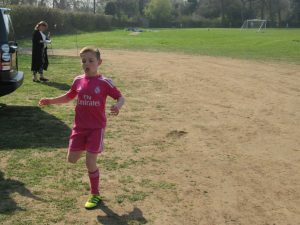 This annual competition took place at Beckett Keys School. 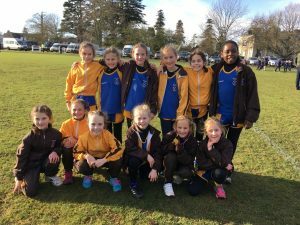 The school was represented by a team of girls and boys'. 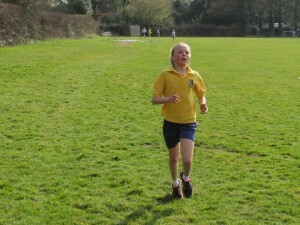 The children ran really well with the girl's team finishing in 1st place. The teams and placings are pictured below. 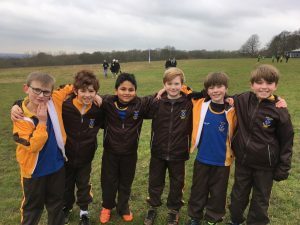 On Friday 22nd January the Cross Country Team travelled to Finborough School in order to take part in the ISA annual cross country event. 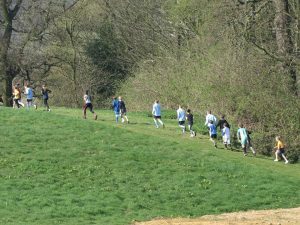 For once the weather was fine, bright but crisp! 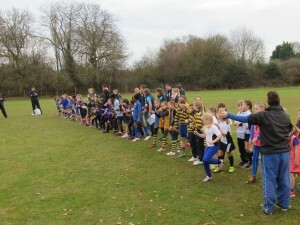 The children ran really well and thoroughly enjoyed the event. 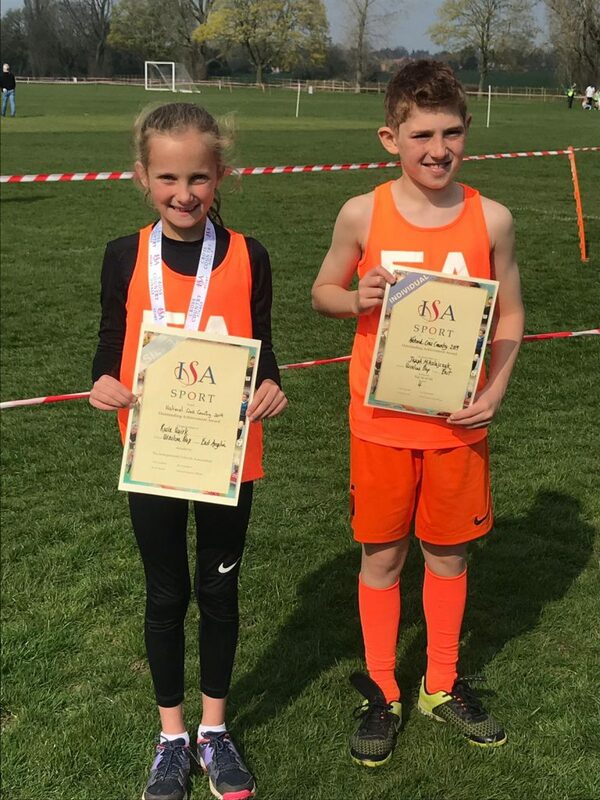 Notable achievements from Rosie who won the U9 event and becomes regional champion and Joseph who came 4th in the U9 event, both of whom have been selected to run in national event of this competition. 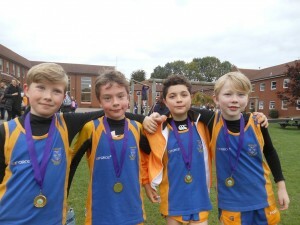 On Thursday 19th October the Cross Country Team travelled to Thorpe Hall School for a relay event. 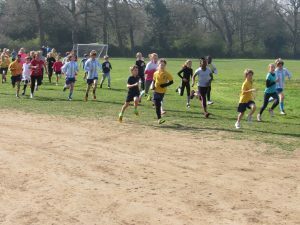 Each team was made up of eight competitors from each of the Junior year groups, 4 girls and 4 boys. 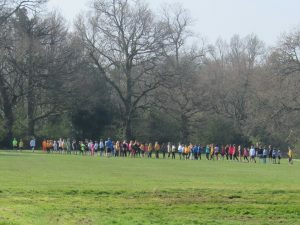 There were ten other schools in attendance. 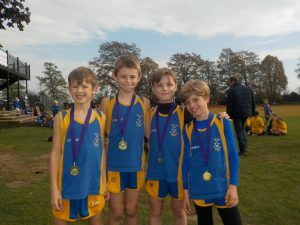 It was the first Cross Country event of the season and all the children ran really well. 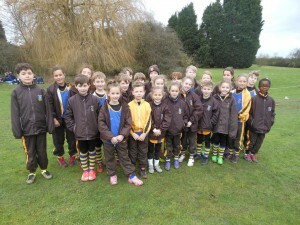 In particular, the Year 3 team, both the boys and girls' team winning their events. 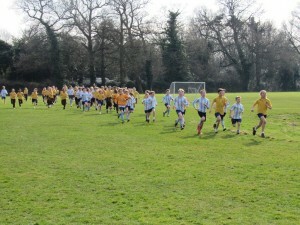 On Tuesday 28th March, we held the annual Inter-house Cross Country . 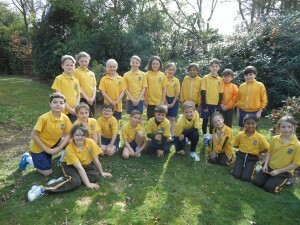 It was lovely sunny day with all the children giving their utmost for their particular house. The final results were St. David first, St. George second, St. Andrew third and St. Patrick fourth. 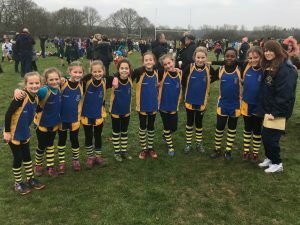 On Tuesday 28th February, a girls and boys’ team went to South Weald Park for the annual District Cross Country competition. 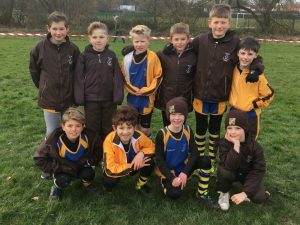 All the children ran extremely well with the girls’ team coming 3rd out of 13 schools and the boys team finishing 11th out of 14 schools. The best individual placings were Ethan Aronowicz finishing in 7th place and Florence Willett coming in 8th out of 160 runners. 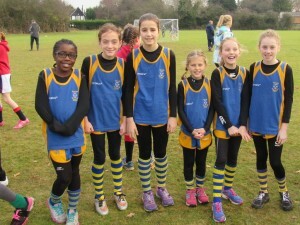 The ISA regional cross country event was held on Friday, 9th December, at Trinity school. 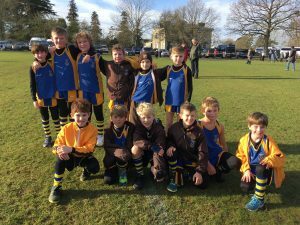 We took a boys’ and girls’ team from Lower One and Upper One and then another from Lower Two and Upper Two. 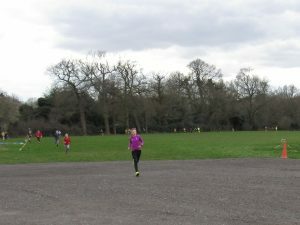 All the runners enjoyed the occasion and tried their best. 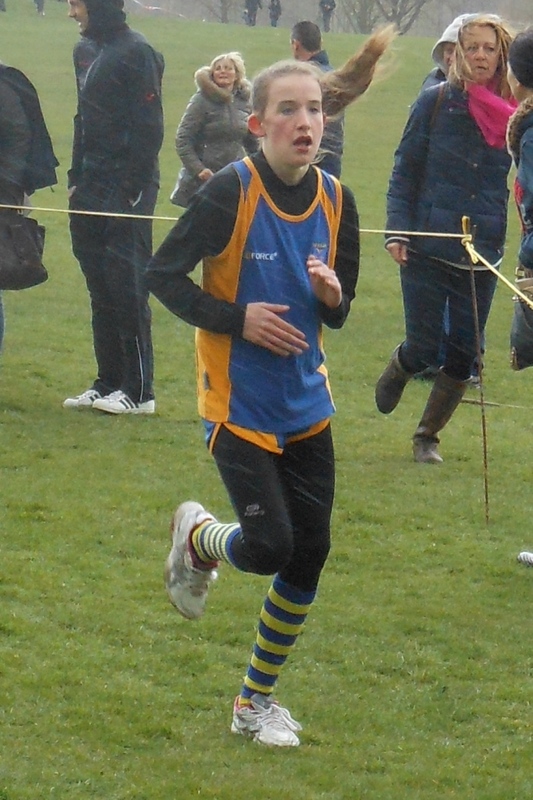 Unfortunately, the boys’ Lower One race will have to be re-run as there was a problem with the course. 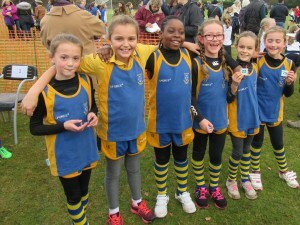 On Thursday, 20th October, we travelled to Thorpe Hall School for a Relay Cross Country Event. 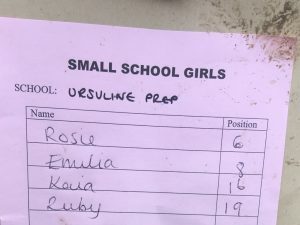 This was the first competition of the season. 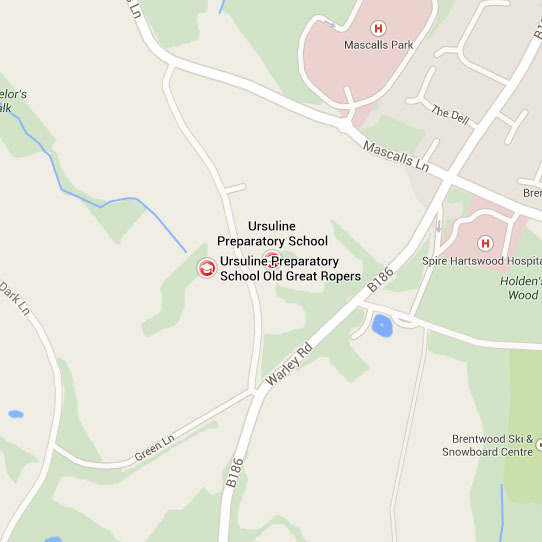 There were eight other schools in attendance. 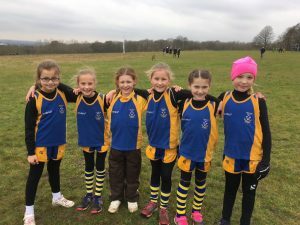 We entered a boys’ and girls’ team for Year 3, 4, 5 and 6. 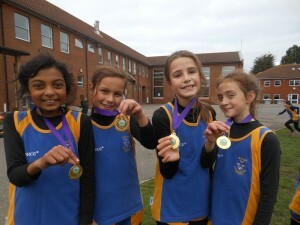 They all ran very well and had a great time The team that achieved the best result was the Year 6 girls' who came 2nd. 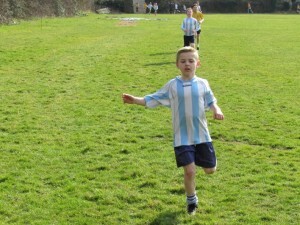 Please visit the Gallery to see some great photographs from this event. 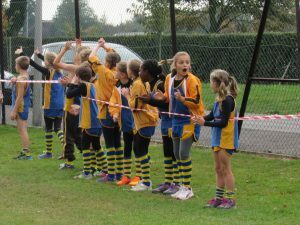 On Tuesday, 2nd March, we took a girls’ and boys’ team across to South Weald Park for the annual District Cross Country competition. 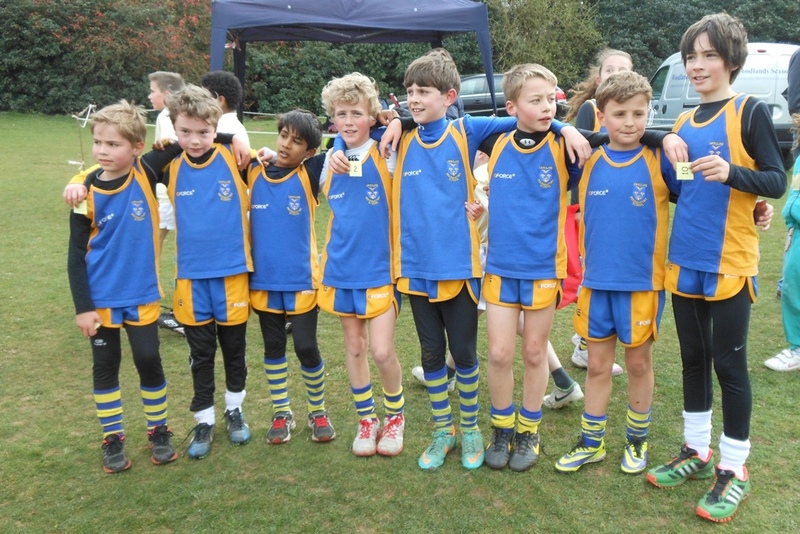 All the children ran extremely well with the girls’ team coming 1st and the boys’ team finishing in 8th place. 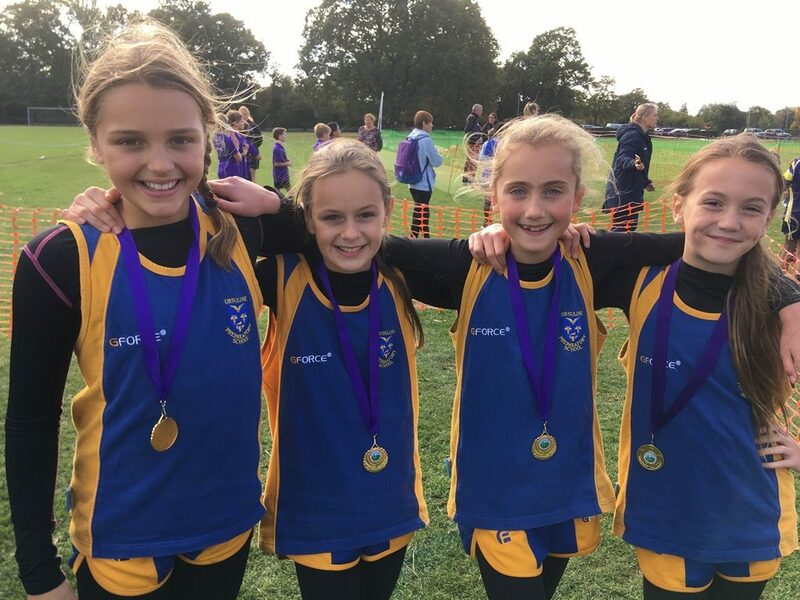 The best individual placings were Claudia Moore 2nd, Molly Ramage 3rd, Valencia Danby 7th, Florence Willett 9th, Emilia Hardy 11th and Ethan Aronowicz finishing in 13th position. 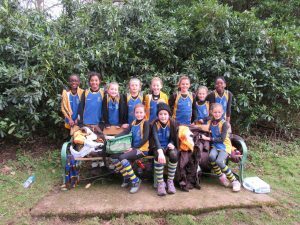 On 27th February, Claudia Moore and Emilia Hardy represented East Anglia at the ISA National finals. 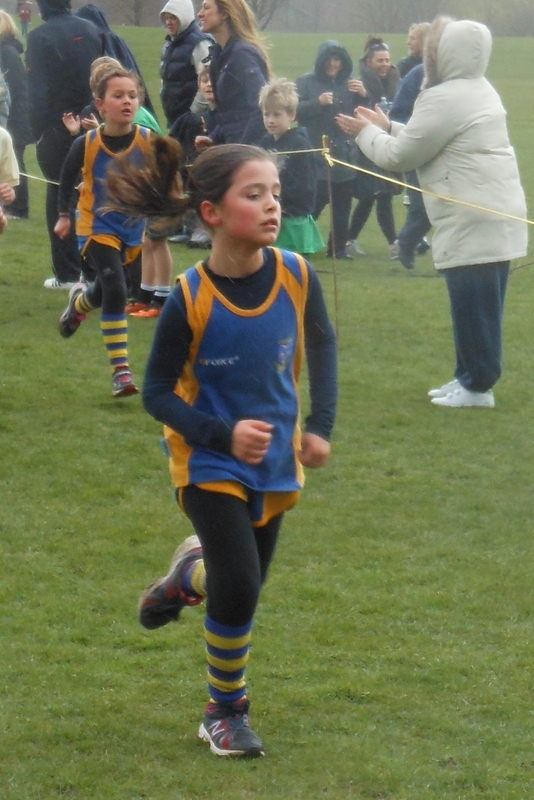 Emilia was racing in the Year 4 girls’ race, which included 60 girls from 6 counties. 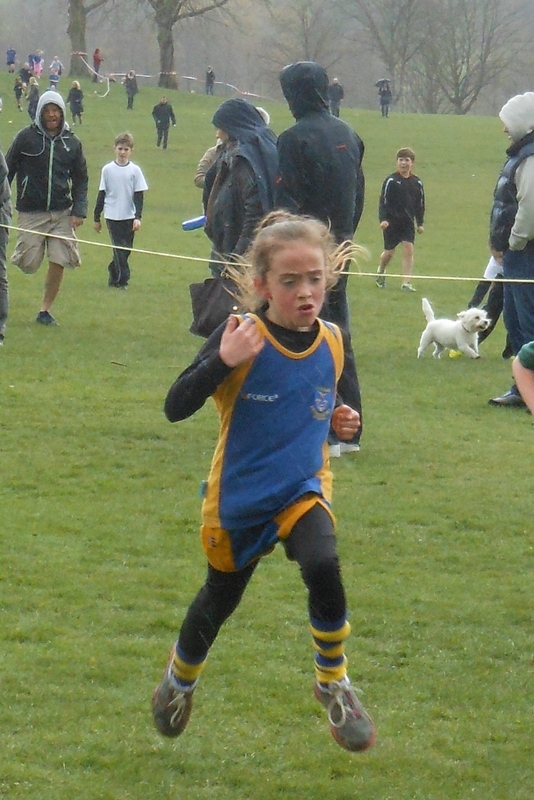 She ran really well, finishing in the middle of the group. 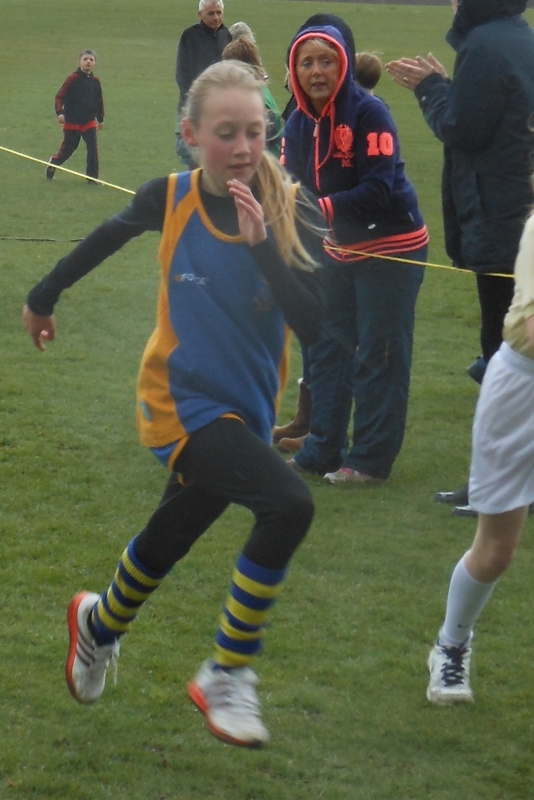 Claudia ran in the Year 5/6 race against 70 girls, many of whom were clearly club runners. 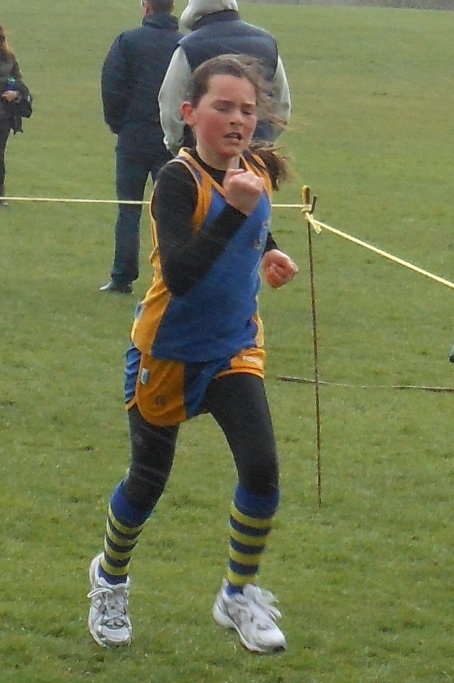 However, she also ran rally well, finishing 19th overall which was a fantastic result! 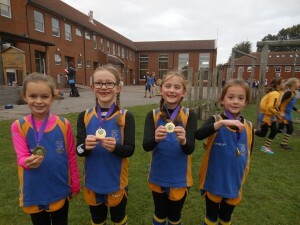 Well done to both of the girls; we are extremely proud of them. 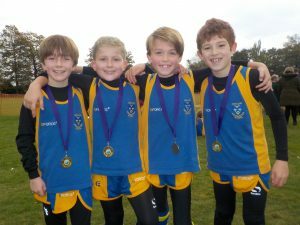 The ISA Regional Cross Country event was held at Woodlands, Hutton Manor this year having been moved from Trinity School due to the weather. 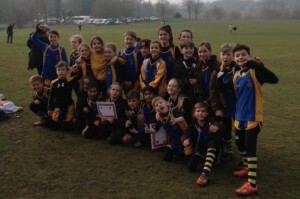 We took a boys’ and a girls’ team from Year 4 and then another boys’ and a girls’ team from Years 5 and 6. 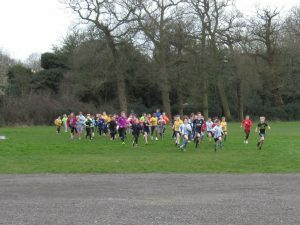 All the runners enjoyed the occasion even though the weather conditions were difficult. 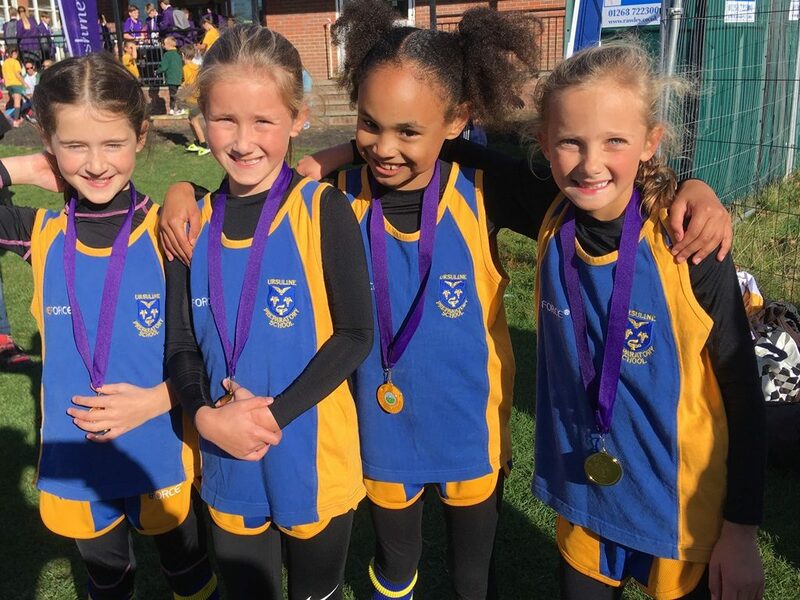 Claudia Moore from Year 6 and Emilia Hardy from Year 4 both qualified for the Nationals, Claudia managing 4th place in her race and Emilia finishing in 9th place in her race. 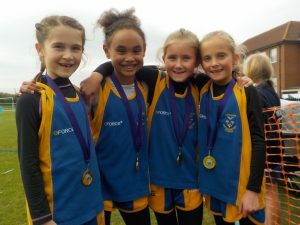 On Thursday 22nd October the pupils travelled to Thorpe Hall School for a cross country event. 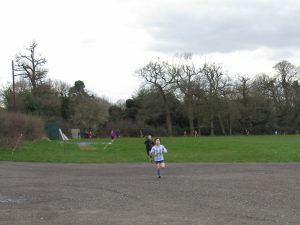 There was a boys and girls’ team from each year group, each team having four children who competed in a relay race. 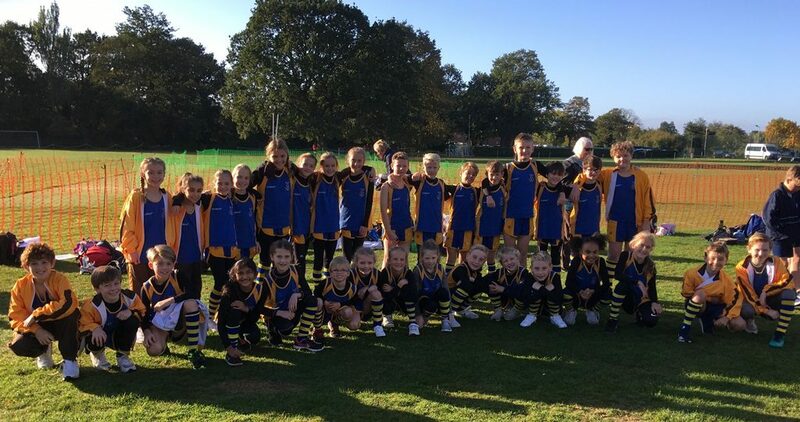 All the children performed very well with the girls’ team finishing 2nd overall out of eight schools and the boys finishing 5th overall in their event. 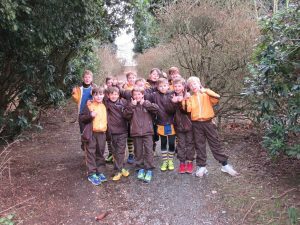 On the very last day of the Lent Term the Inter House Cross Country Competition took place with all children in the Junior school competing. 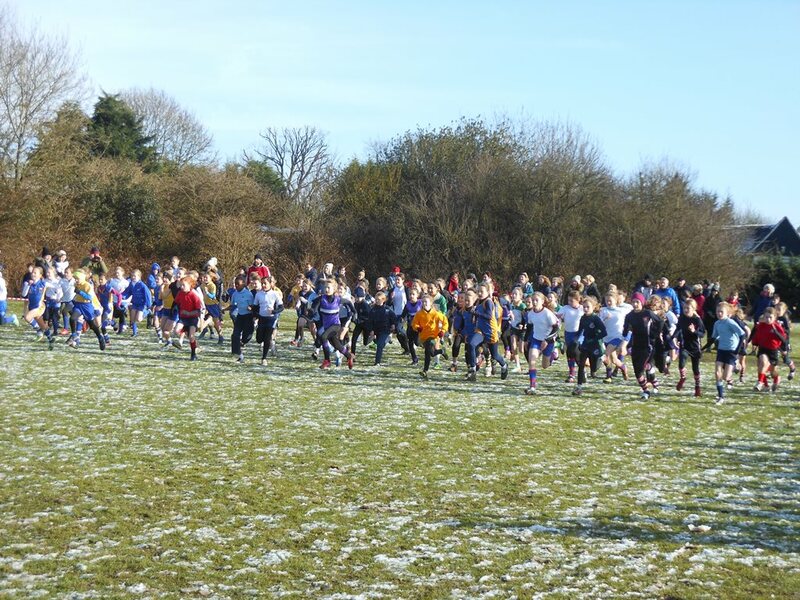 Fortunately the weather was fine unlike it had been for much of the cross country season! 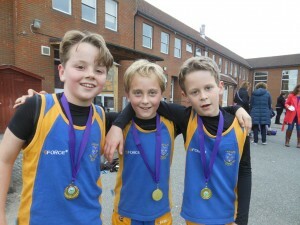 The first three home are pictured below together with the winning team of St. George. 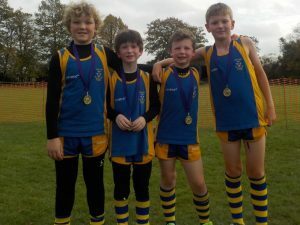 St. David's were 2nd, St. Andrew's 3rd and St. Patrick's 4th. 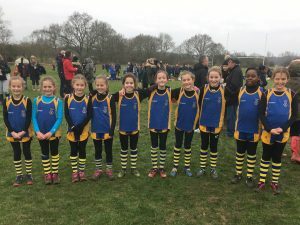 On Tuesday, 18th March, we took a girls and boys' team across to South Weald for the annual District Cross Country competition. 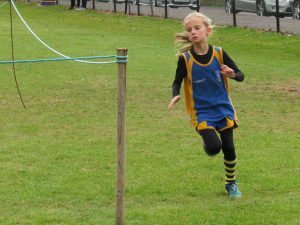 All the children ran extremely well with boys' team coming first and the girls' team narrowly finishing in 2nd place by 1 point! 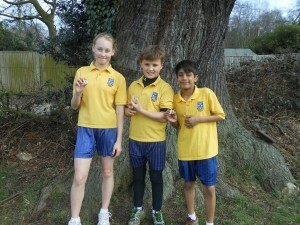 The best individual placings were Claudia Moore 2nd, Heather Young 3rd and Louis Hardy finishing 9th. 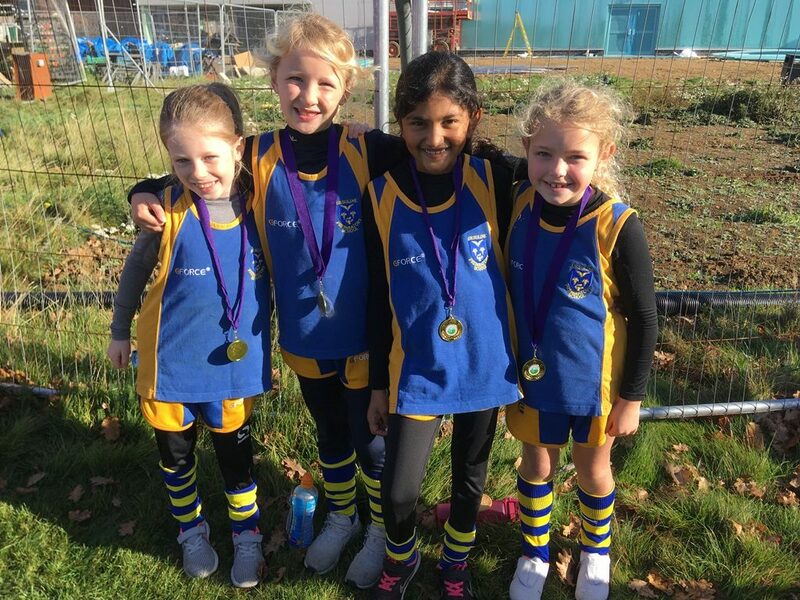 Congratulations to the whole team on a successful season. 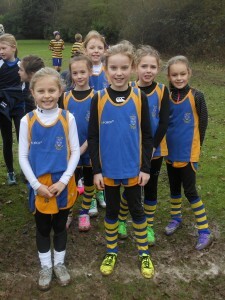 On Friday 30th January we took four teams to the Annual ISA Regional Cross Country competition. 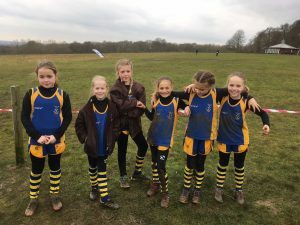 This being the first time the event was held at Trinity school, the weather as normal for cross country was cold, muddy and we even had some snow. 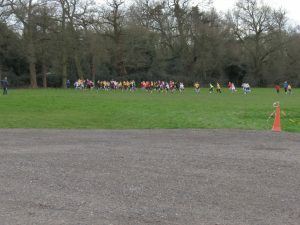 All the children ran very well and were a credit to the school. 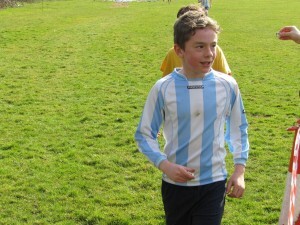 More photographs are available in the image gallery from this event. 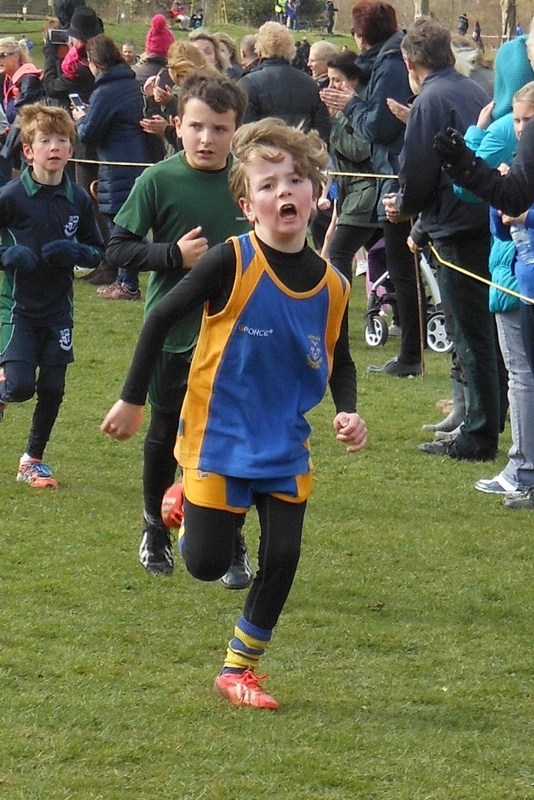 First race of the 2014 season! 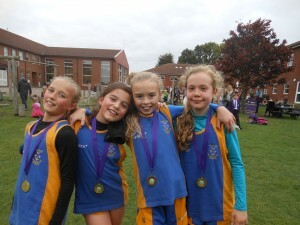 District Cross County Champions 2014! 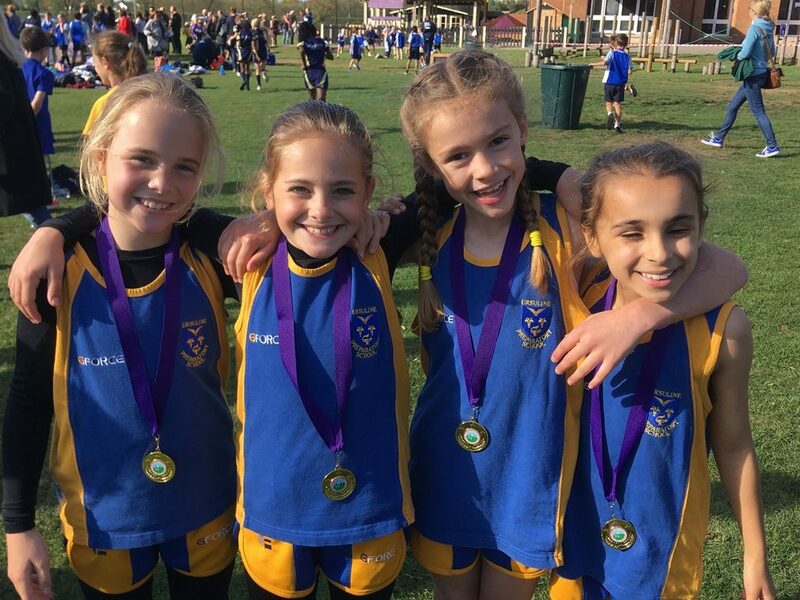 The Cross Country team became District Cross Country Champions in both the girls' and boys' event when this annual race took place at South Weald on Tuesday 18th March. 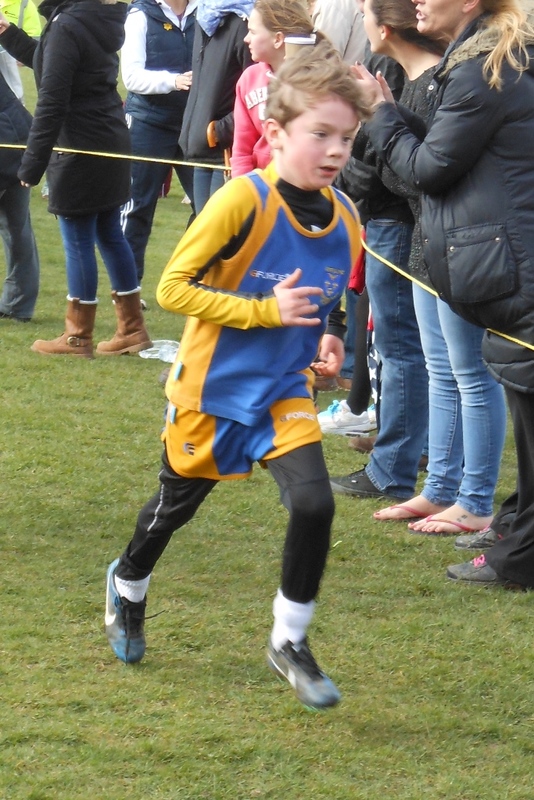 All of the runners performed exceptionally well but a special mention needs to be made of the two boys in Upper Two. Oliver Moore became individual District Champion and Oliver Margiotta was the runner-up. 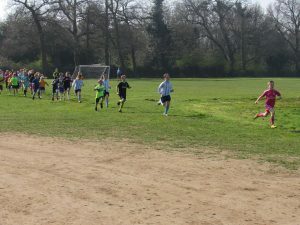 The boys' team scored an incredible 25 points to secure their team victory and the girls' team an equally impessive 35 points.Well done to both teams and the PE staff for organising all of the training sessions! 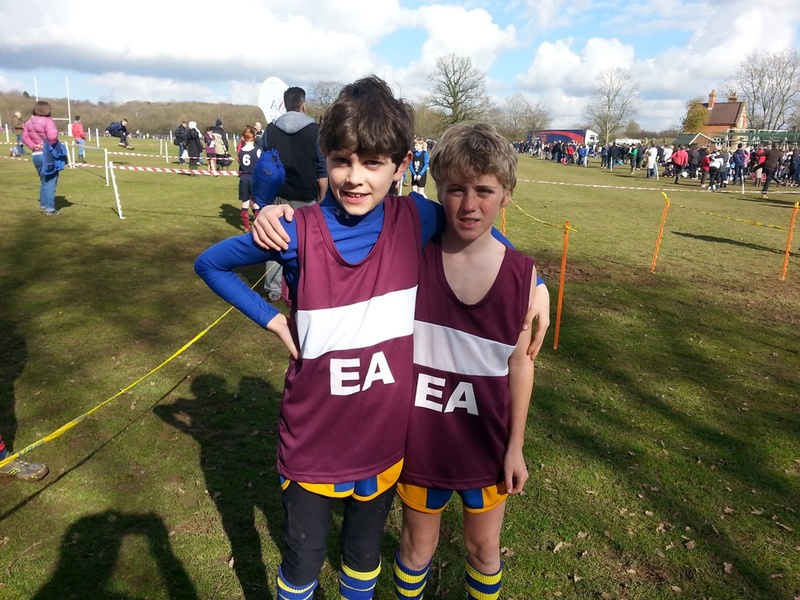 Two of our finest Cross Country runners qualified to represent East Anglia on Saturday 1st March at Rugby School Warwickshire. 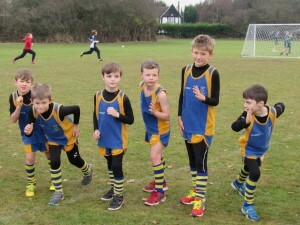 Both boys managed to get off to a good start and confidently ran the first part of the course and then went into the woods where they had to run uphill. 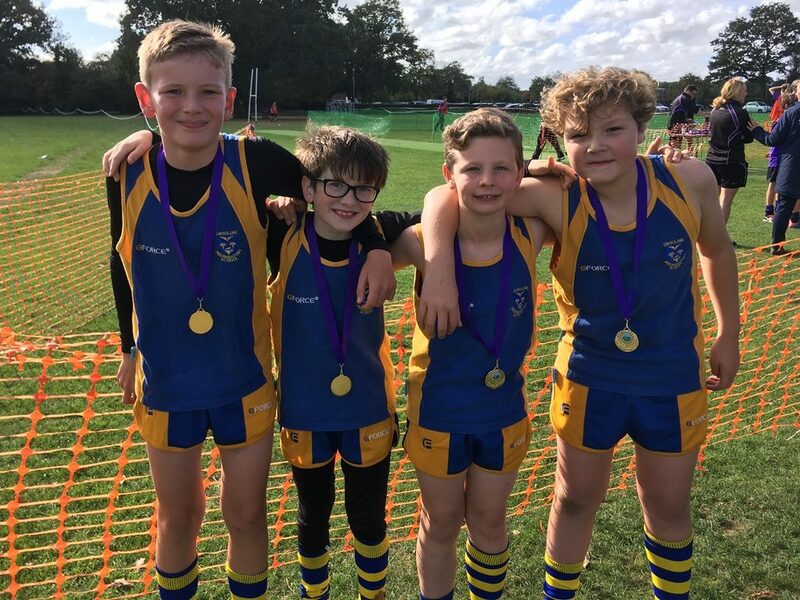 As they came into sight again they were much closer to the front runners and with excellent sprinting towards the finishing line they finished in 22nd and 26th place; both were also in the top 3 runners for East Anglia!